East Granby High School and Middle School were locked down on Tuesday after police got a report of a student possibly in possession of a weapon. The soft lockdown has been lifted after state police responded to East Granby High School to investigate a complaint that a student might have had a weapon and searched the school. 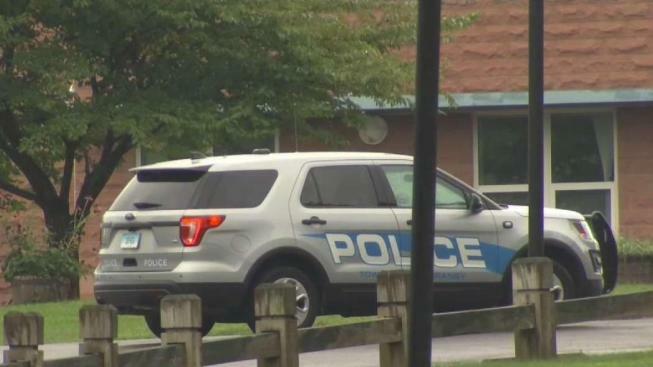 A news release from state police says the high school received a report at 7:30 a.m. Tuesday that a student was possibly in possession of a weapon on a school bus and the resident state trooper immediately placed the school on lockdown. The school was searched and state police later determined the incident regarding the weapon occurred on Friday. They said a person of interest was identified and the investigation is ongoing. No one has been arrested. The state police major crimes division responded and is assisting the East Granby Resident Troopers office in the investigation. The high school and middle schools are both located at 95 South Main St. and state police said both schools were on lockdown. The lockdown was lifted after troopers searched the premises. Parents said they received a text message saying this was a soft lockdown. The school will dismiss according to schedule Tuesday.